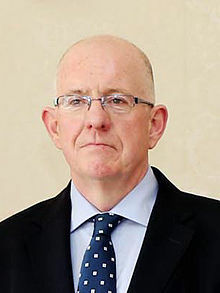 Justice Minister Charlie Flanagan will today set out the Government’s proposal to extend the right to work to asylum seekers following the landmark Supreme Court ruling earlier this year. Mr Flanagan is expected to bring his proposals to a Cabinet meeting today. Commenting, Fiona Finn, CEO of Nasc, the Irish Immigrant Support Centre, said: “While we do not yet know the details of the proposals the Minister is bringing to Cabinet this morning, it appears that the Government will be allowing access to the labour market for asylum seekers after nine months, if no first instance decision has been made on a person’s asylum application. However, she added: “In relation to the more specific terms of the Government’s proposal on the right to work, we will have to wait to comment until it is formally released. We would be particularly concerned that the Government ensures that access to work is real and substantive, and that there are no restrictions placed on eligible professions or labour market sectors. “We are concerned that from the information provided to date, there does not seem to be any remedy in the Government’s proposal for people who have been in the system for many years. In light of this, we would call on the Minister to implement the ‘Five Year Scheme’ which was recommended in the McMahon Report, on a rolling basis, to review all applications of those in the system five years or more with a view to granting a permission to remain. “This should already have been implemented by the Government, given the commitments to implement the recommendations of the McMahon Report in full. It would go a long way to improving the situation for people who have been in the system for long periods of time, who will most likely not have access to the labour market in the Government’s proposal.